Contactless, quickly, and with an extremely high resolution, the SRA delivers a 3D image of a sample‘s surface and the correlating data which exactly describe its topography. Analyses with the SRA also help evaluate the contribution of roughness to the wettability of a sample or to the adhesion of coatings. The SRA uses the confocal microscopy technique to create the spatial representation of the surface. This happens by stacking layers of 2D images, each one with a very small depth of focus, while lowering the optics with extremely tiny increments, leading to a height resolution of down to 10 nanometers. To scan an area of the sample, usual confocal microscopes use a rotating pinhole disk to create an image at each height level. The disk inside the SRA has micro lenses instead of just holes, increasing the light yield and making it possible to analyze low-reflectivity or even transparent surfaces. 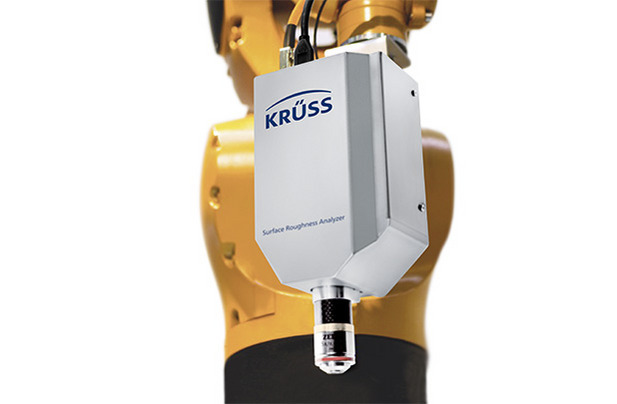 With its small size and low weight, the SRA can be used at almost any place as a lab instrument, but is also available as a measuring head to be used for automatic processes in the production line. This makes real-time sample evaluations for QC checks of work pieces possible. Adding to the versatility of the SRA itself, the software can be linked to programs such as Matlab® in order to integrate it in information systems.